Back of the Cereal Box: Ceuf or Oeuf? I enjoy it when TV shows name their episodes with a certain theme. All the Seinfeld episodes were “The X,” Friends did “The One With X” or “The One Where X,” all the Cougar Town episodes are Tom Petty Songs, and all the Community episodes are named in the style of a college class. I could go on. Each Hannibal episode take its name from French cuisine, mixing high culture with the literal worst of humanity in a way that really underscores what the show is about. But it all hit a snag with the Molly Shannon episode, which is either titled “Oeuf” or “Ceuf,” depending on where you read it. (Wikipedia has “Oeuf,” while NBC’s official site and iTunes have “Ceuf”.) So what gives? Well, here’s what I think happened. There is no French word ceuf, from what I can find. However, there is oeuf, which means “egg” and would seem to be appropriate, given how the episode is about evil “hen” Molly Shannon brainwashing children into murdering their families. 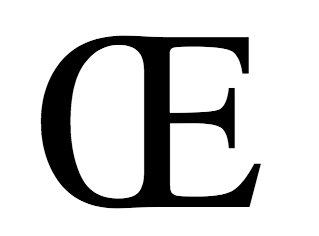 In writing the word, you may skew fancy and join the “o” and “e” together — a ligature known as oethel or ethel. In print, and especially to American eyes, this doesn’t necessarily look like a conjoined “o” and “e.” See? The strange result of this mix-up is that you can now find a ton of web hits for the word ceuf, whereas far fewer would have existed before. They’re almost all Hannibal-related. And I’m guessing that those that aren’t Hannibal-related are either coincidences (those letters, in order, not appearing as a result of French culinary vocabulary) or other incorrect renderings of oeuf, where someone or some program saw that conjoined “o” and “e” and said, “Oh, that’s obviously a ‘c.’” Hence, ceuf — a word that’s more made-up than most and which has been given sudden popularity as a result of a TV show. And that’s kind of cool, linguistically speaking: a TV show accidentally popularizing a new word, more or less, and giving it meaning that it wouldn’t have had just one month ago. That’s my guess, anyway. If ceuf means something — in French or otherwise — I’d be happy to hear about it. Does it? You're right, this "mistake" populated google searches with Hannibal-related content. It WOULD have been cool from a TV show to popularize a new word, IF the latter had been made up for the show, on purpose. But instead this story tackles a certain lack of professionalism as someone clearly didn't do his homework. I imagine the following happening to someone at NBCretin: "OMG, what the hell is that strange œ sign? Aren't the titles supposed to be in french? Let's try to find "oeuf" and/or "ceuf" in the dictionary. Darn, I don't have the appropriate character on my keyboard, how should I write it then? It's not like it would be easily findable on an online encyclopædia ...."
It's a bit sad that at any point in the process, nobody pointed out the wrong spelling of the "egg" word, which is a word which must be taught during the 1st or 2nd year of french as a foreign language. I'm not too upset about it. I think it's kind of funny, I suppose, and someone should have double-checked this at some point, but overall this made for a neat little word mystery. Of course, that may just be because I'm totally in the tank for the show. I was thinking the same thing, but it's awesome you posted this. I've been watching illegally all night, so I didn't watch Oeuf/Ceuf in the legal forms, as clips on Hulu or on iTunes, so how'd they do it without Molly Shannon? It's literally just the Hannibal/Abigail scenes. And those are important for the overall season's arc, but they're not quite enough for constitute a real episode. We demand our Molly Shannon.